Former two-division world champion Danny ‘Swift’ Garcia 34-2 (20) will be gunning for a knockout when he clashes with veteran contender Adrian Granados 20-6-2 (14) at the Dignity Health Sports Park in Carson, California on April 20. 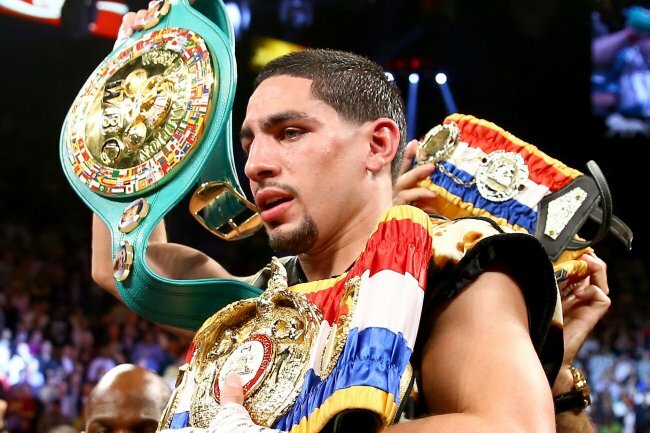 Speaking to the media on Tuesday at the Palms Restaurant in Los Angeles, Garcia said he wants to be the first person to put Granados away inside the distance. “My mentality is that I have to stop Granados,” the 30-yearold from Philly said. “Nobody has stopped him and I have to do that to make a statement. He’s never fought a counterpuncher like me and I’m definitely the hardest puncher he’s faced. I’m going to showcase everything to get the stoppage. Granados warned Garcia not to underestimate him, saying his hard road to get him to where he is will give him the edge. “This is going to be a great fight. We’re two fighters who bring it. I’m coming for a victory in dominating fashion. This is the fight that I’ve wanted for a while now,” said the 29-year-old Granados.